Some girls want diamonds, but not me. No, for years now I’ve been asking Santa, the Birthday Fairy and the Easter Bunny for a composting drum. The Birthday Fairy finally came through! 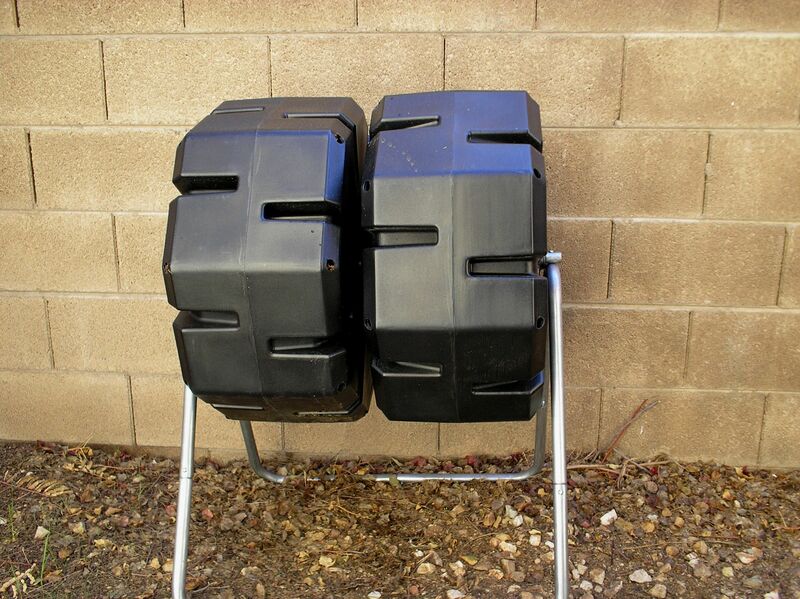 This dual unit is from Gardener’s Supply Company. The idea is that while one batch is “cooking” you can work on filling the next drum. 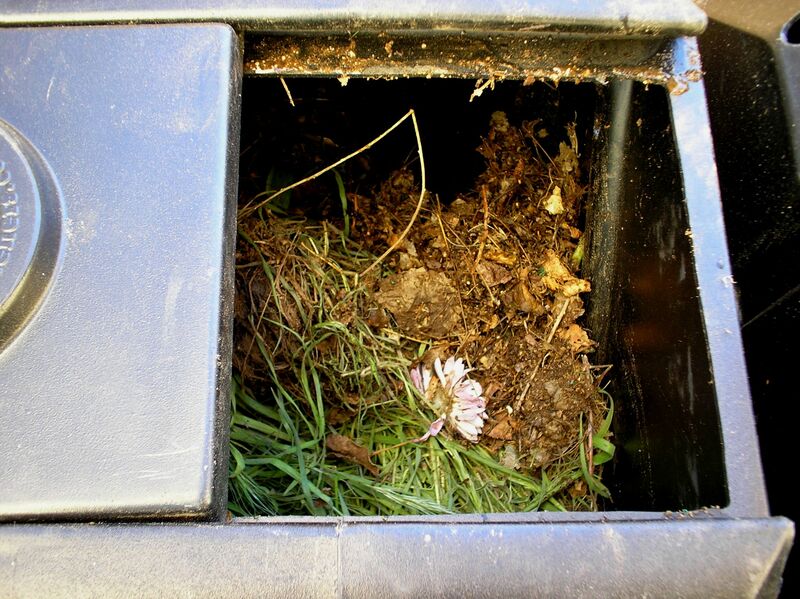 It sounds simple enough…one part “green” (yard trimmings or kitchen scraps) to three parts “brown” (dried leaves, etc…). There is a “Super Hot” activator powder you can add if you choose to, then just check the moisture level (it should feel like a well-wrung sponge), close the door and give it a few spins. Temperature inside the composter should reach 120 to 160 F. Spin the drum every few days to incorporate fresh oxygen and keep an eye on the moisture level. If all goes well you should have a batch of compost in about four to eight weeks. Well…we’ll see. I’ve started my first batch and am gathering materials to fill the second drum. At this point my concern is having enough “brown”; the “green” is the easy part. I’ll let you know how it goes. Hysterectomy. At one time this surgery was thought to rid a woman of acting hysterically—which meant, basically, speaking her mind. Thankfully, those days are passed, but there are still times when a woman needs to consider having a hysterectomy. This can be a frightening and confusing time—a time when a mentor would be most welcomed. Enter my friend Linda Parkinson-Hardman, founder of The Hysterectomy Association which provides information needed for women to make a fully informed choice. Linda’s newest project is an anthology of personal stories written by women experiencing hysterectomy. It is Linda’s hope that In Her Own Words: Women’s Experience of Hysterectomy will offer those journeying this path comfort and camaraderie. When pain wakes you up at 3 AM or you find yourself crying for the children you will never have it’s crucial to have someone to turn to—someone who has been there. If you, or someone you love, have an interest in this topic then I have good news—you have the opportunity to help create this book! Linda is using Kickstarter to promote her idea and rally funds. She could really benefit from some publicity and pledges right now—she only has until March 9th, 2013 to raise funds. Please visit her page at Kickstarter for more information on this project.